at Perkins on May 18th ! 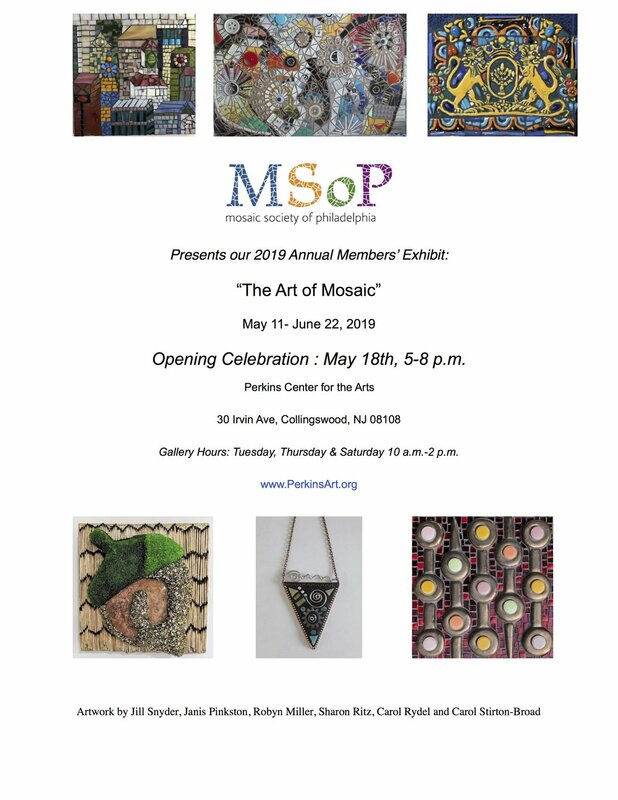 Call for Entries: "The Art of Mosaics", The Eighth Annual MSoP Member Exhibit! FOR ALL INFORMATION AND FORMS CLICK HERE! Bonnie Fitzgerald @ MSOP's Sept. 30 Meeting ! Inspired Works: Mosaics old and new that light my fire. 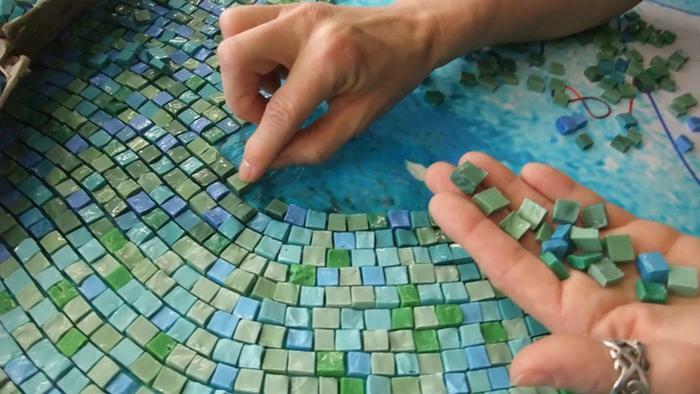 Join Bonnie Fitzgerald as she shares images of some of her favorite mosaics, from old world pieces to wildly contemporary master works, and speculates where the inspirations come from. Bonnie teaches workshops throughout North America, including the Smithsonian Institution in Washington, DC and leads study tours to destinations in Europe. She works enthusiastically to provide unique learning experiences, create beautiful art and nurture and expand creative expression through the art and community of mosaic. She often speaks to large groups about mosaics and the artistic journey and is the author of two best selling books: “Guide to Mosaic Techniques”” (2015) and “300+ Mosaic Tips, Techniques, Templates and Trade Secrets” (2012), which has been translated into 5 languages. The meeting will be held at the Benchmark School 2107 N Providence Rd, Media, PA 19063 on Sunday, September 30th, 1-3:30 pm.